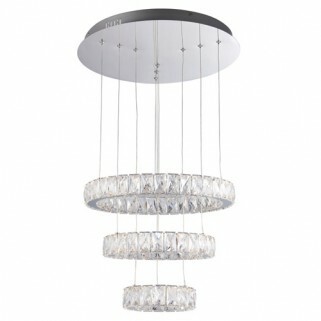 The Swayze pendant is an elaborate LED ceiling fitting with a chrome effect back plate supporting 3 rings of clear beads. It has an adjustable drop up to 800mm. An energy efficient product with low maintenance costs. Matching items available.